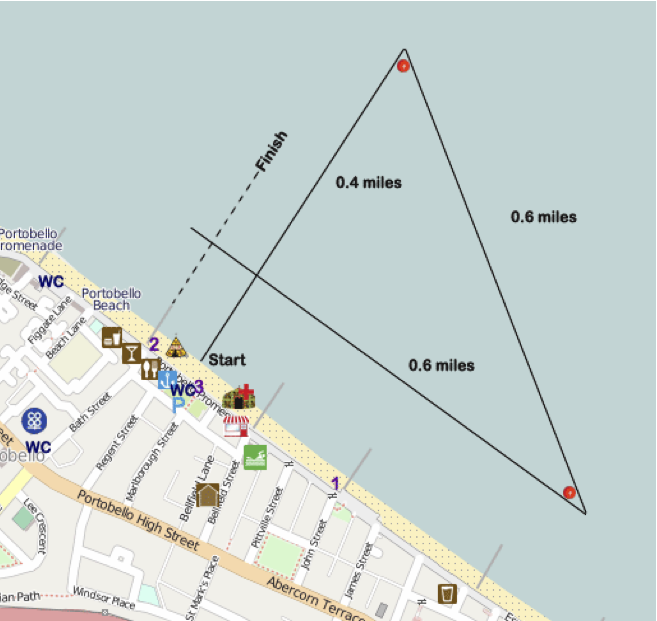 Is Scottish Coastal Rowing for wimps? We like to keep an eye on coastal rowing in other parts of the world. Some amazing pictures here of launching for a race in Catalonia. (Click the link above for more). 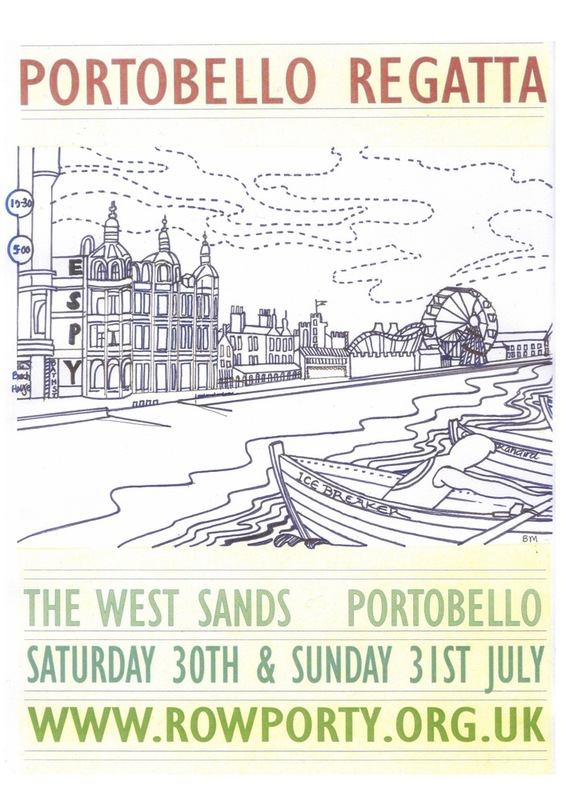 Just a little rougher than the conditions here in Portobello. 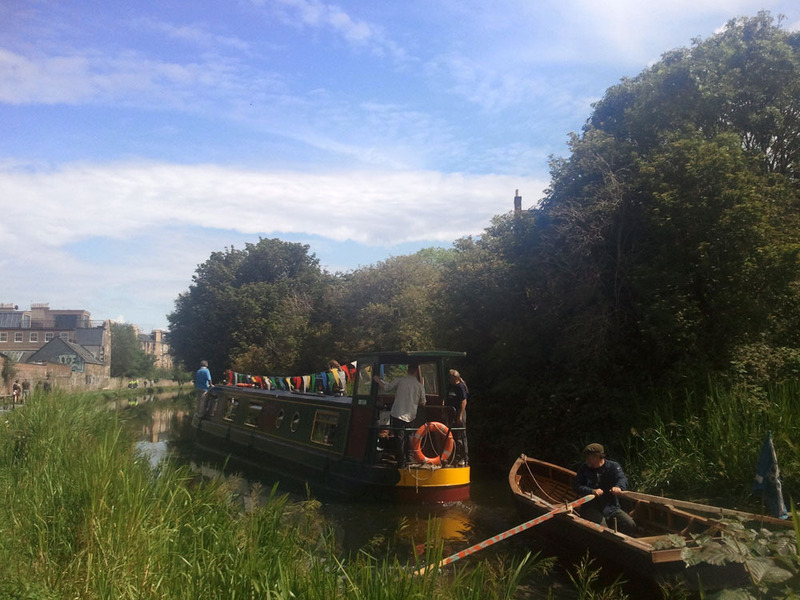 We took Jenny Skylark to the Canal Festival last Saturday. Since she was launched in the middle of April Jenny Skylark & her sea-faring crew have been to regattas near (Dunbar, Port Seton & S Queensferry) & far (Achiltibuie & Port Soy), with challenges from wind, waves & weather. 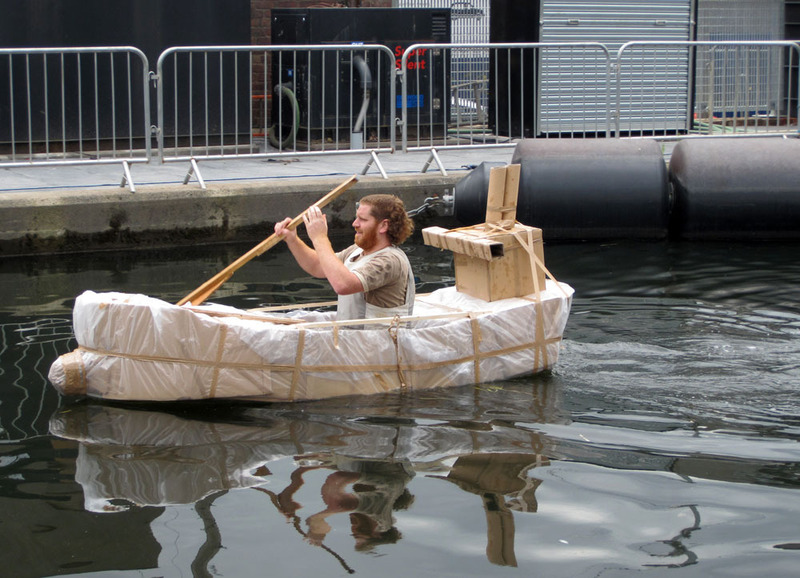 The canal posed challenges of a different sort. 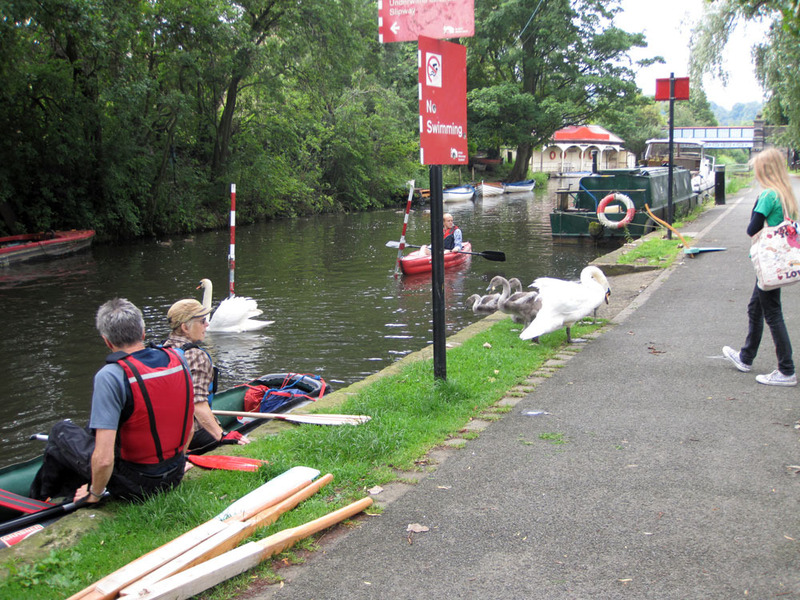 First up were the swans who took up residence at the slipway by Harrison Park – thanks to Mo for gallantly sacrificing her sandwiches to entice them back onto the water! 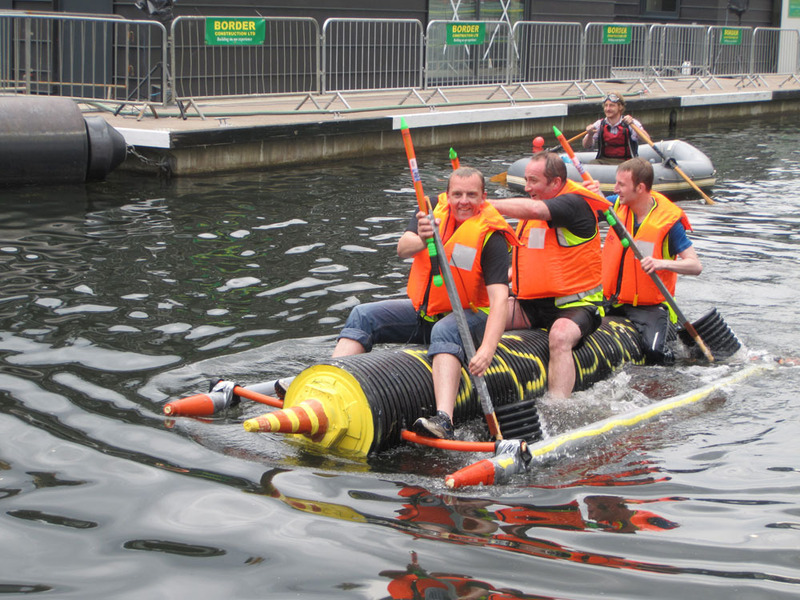 Next, in the tight confines of the canal, we managed to break an oar whilst manoeuvring out onto the water. 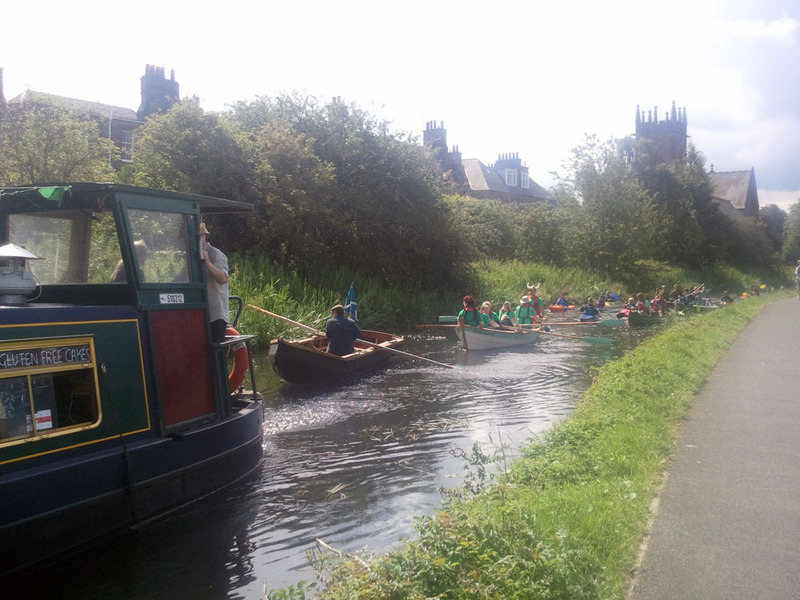 We then had a leisurely row up the canal towards Meggatland. The festivities kicked off a around 11 with a parade, led by Zazou, a floating café, with a piper aboard, followed by Stan in his curragh, then Jenny Skylark & a flotilla of canoes / small craft. 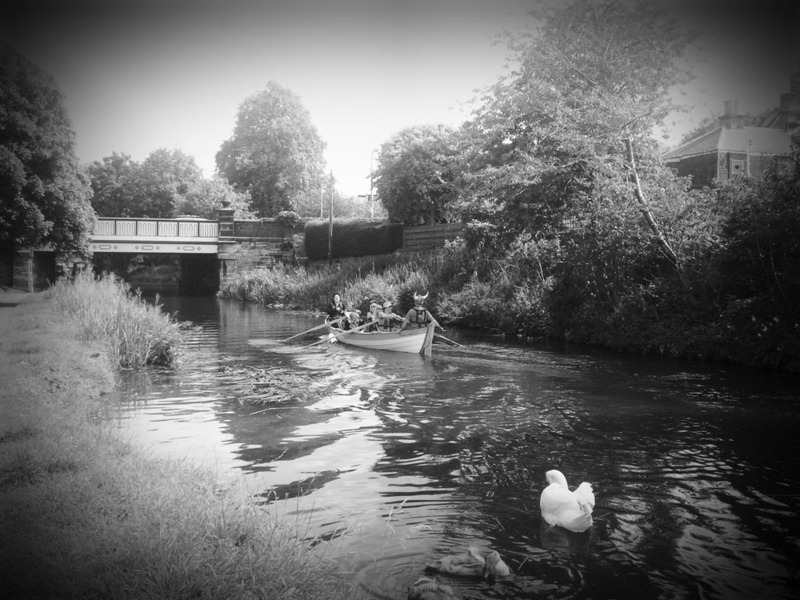 We crept along at the slowest of paces, occasionally having to ship oars as the canal narrowed under bridges. 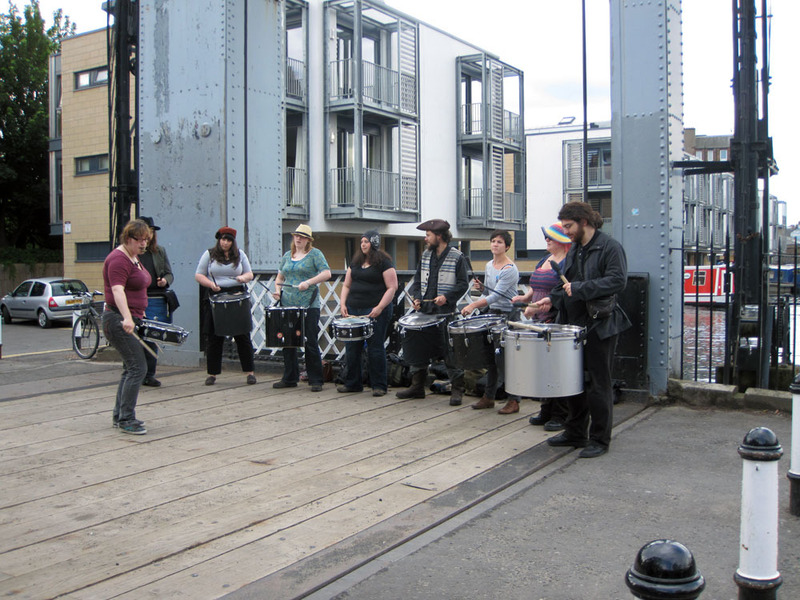 The festival was very colourful when we arrived, with lots to see, including raft racing & a samba band on the Leamington Lift Bridge, as well as many stalls & music. After a leisurely lunch, we gave rides in Jenny Skylark up to the lift bridge & back between raft races. On the return journey the weather changed for the worse & there were several torrential downpours. Well done to all who weathered the return trip! 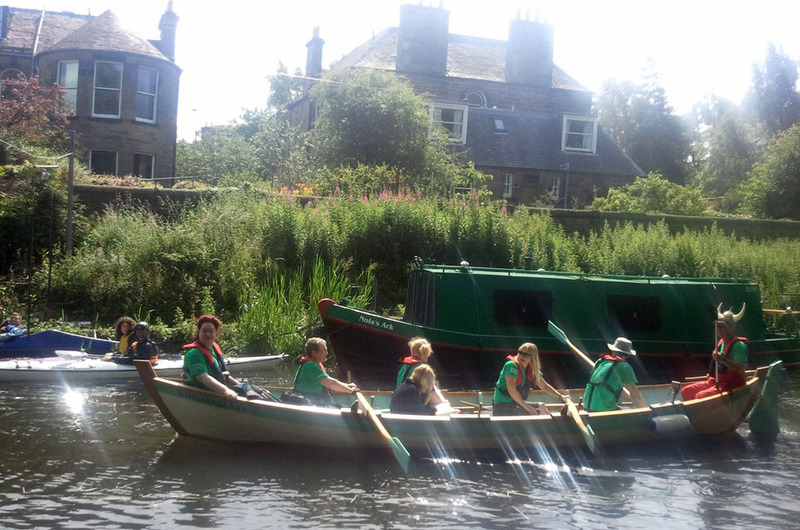 This was a very different day out for RowPorty, but it was good to explore a stretch of water, very different to our own, as well as making links with other communities. 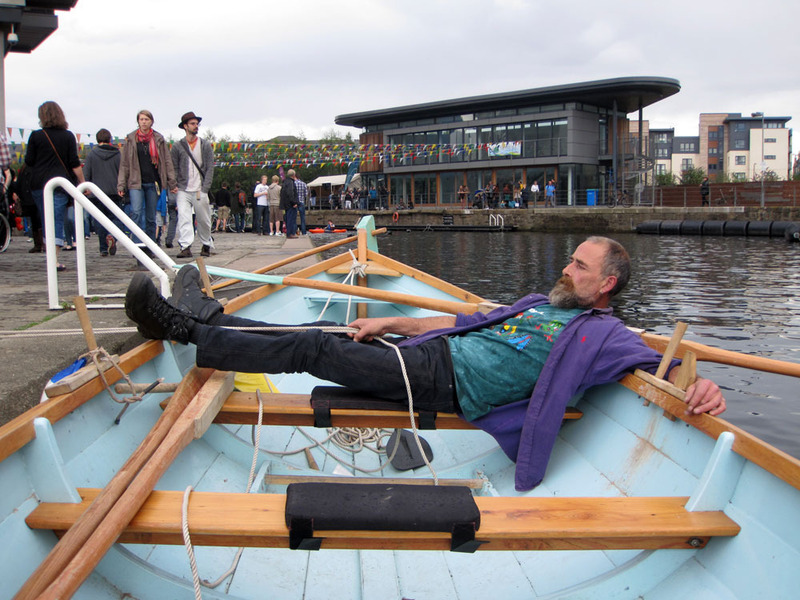 The laid back nature of the festivities is reflected by the picture of Nik Savage, relaxing on Jenny Skylark. 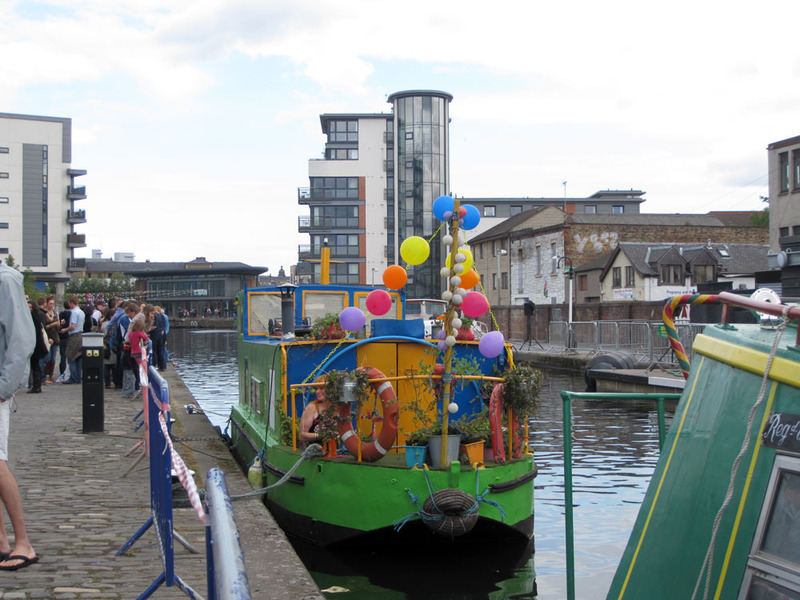 Taking part in the parade of boats at the Edinburgh Canal Festival.